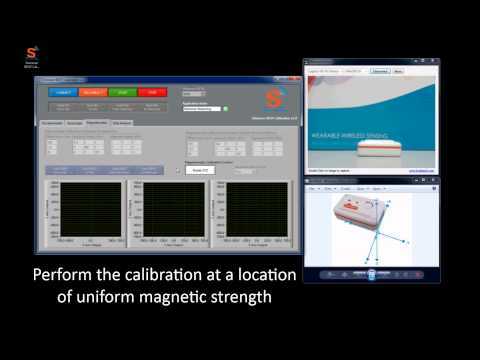 The Shimmer 9DOF Calibration Application v1.0 provides an automated procedure for calculating the calibration parameters for Shimmer’s integrated tri-axial accelerometer, and the 9DoF module’s Gyro and Magnetometer sensors. The calibration parameters can be stored to the Shimmer memory and recalled by other applications to provide calibrated sensor data. The application allows users to save calibrated parameters to the Shimmer unit which can then be recalled by other applications. A data analysis feature is also available to verify the accuracy of the calibrated values. A Shimmer 2 or Shimmer 2r paired with the users PC. The user should also know which Com Port is associated with the Shimmer to be calibrated. The Shimmer 9DOF Calibration Application v1.0 installation package is available to download(** Available to registered website members only). Why is the COM Port associated with my Shimmer not listed in the drop down menu? Select the Refresh option listed in the Com Port drop down box on the GUI. If problem persists go to step 2. Verify the Com Port that your Shimmer is paired with, corresponds to the COM Port in the drop down menu. This procedure is outlined in the Shimmer User Manual and in the Shimmer Getting Started Videos on YouTube. My Shimmer fails to connect. Why? What should I do? Check out our 'Shimmer3 Getting Started Video' (Shimmer3) or 'Shimmer Tutorial - Getting Started' (Shimmer2r). Also refer to the corresponding section in the User Manual. 1. Paging Inquiry - When the Shimmer is not connected, the paging inquiry window on the BT radio defaults to 320ms (out of 2.56s) so the Shimmer is only 'listening' for a connection 12.5% of the time. 2. FHS (frequency hopping synchronization) - When a BT slave successfully connects or pairs with a BT master, they synchronize their frequency hopping pattern. If a master has not connected to a slave over a long period of time, then the frequency hopping pattern can get severely out of sync. Variations in clock drift across Shimmers means that some Shimmers will get out of sync more easily than others. Note: Once a connection is made the frequency pattern of the master and slave are once again synchronised. When I complete the 9DoF calibration procedure no values or nonsensical values appear, why? Once you have decided on your sensor coordinate axis ensure that you observe the correct orientations for each step of the calibration. Ensure that the Shimmer you are calibrating is the Shimmer that is connected to the PC (Check the BT Radio ID on the label at the bottom side of the Shimmer.). Ensure that you hold the Shimmer static during the appropriate periods. Make sure to perform each step of the calibration.